The word 'classic' is often over-used, but not in the case of this race. 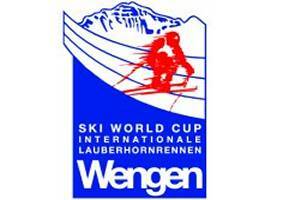 Set on the slopes of the Lauberhorn above the Swiss resort of Wengen, this is a race that has the lot - history, drama and the best scenery on the World Cup calendar. The 2016 year's event will be the 86th running of the races, making it the longest running of all the FIS World Cup races. It's traditionally run the weekend before the Hahnenkamm races at Kitzbuhel, making back-to-back classic downhill races. All the details of the classic Lauberhorn race on the slopes below the Eiger, including all the winners from one of the world's most stunning sporting events. Details and dates for all of the annual skiing, snowboarding and other mountain-related events in Switzerland. Information on the Hahnenkamm Ski Races, including links to this year's event as well as the history behind it. The next date for the event is 15-22 January 2017.